The flagship store can be found on the Market Hill in Woodbridge and they celebrated their 10th anniversary year by opening a new store on Church Street in Saffron Walden, Essex in April 2014. The team at Fanny and Frank are dedicated to beautiful clothes and footwear; putting together outfits that make their customers feel fabulous. 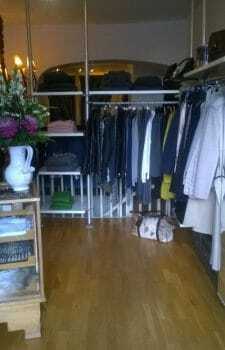 Stocking ladies collections from many European brands including Joseph, Oska, Annette Gortz and Daybirger et Mikkelsen. For the men there’s Hartford and Scotch & Soda. All of these are complimented by a fantastic choice of shoes, boots, handbags and accessories.